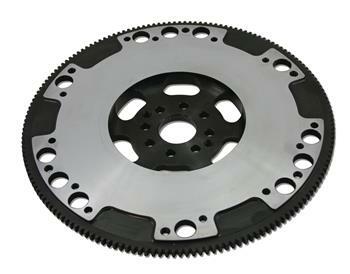 McLeod Racing Flywheel - Chromoly UNKNOWN - Dezod Motorsports Inc - Home of the automotive performance enthusiast since 2002. McLeod Chromoly flywheels offer owners a lightweight yet incredibly strong flywheel option. With a heat-treated friction area and integrated ring gear, Chromoly flywheels are an excellent choice for any performance Mustang application. NOTE: Chromoly Flywheels will not work with McLeod RST/RXT Twin Disc clutch Line. This flywheel is intended to be used with factory style disc and pressure plates.